1. Big Stone Gap by Adriana Trigiani. It’s always better to read the book before the movie comes out! 2 and 3. Looking for Alaska by John Greene (or any other book by John Greene) and I Will Always Write Back by Caitlin Alifirenka and Martin Ganda. Why not read what the teens are reading these days? Good to be in touch with kids! 4. Harry Potter by J.K. Rowling. Who doesn’t want to escape reality sometimes? These books never get old and are good even on the second or third time. 5. The Polar Express by Chris Van Allsburg. A 1986 Caldecott Medal Winner that keeps the holiday spirit alive! Always better with a child, pajamas, and hot chocolate. 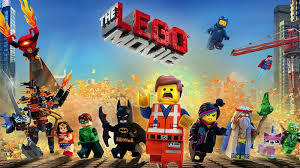 “An ordinary Lego construction worker, thought to be the prophesied ‘Special’, is recruited to join a quest to stop an evil tyrant from gluing the Lego universe into eternal stasis.” Rated PG; 100 minutes. Join us for a special showing of this popular film. Pull up a chair at the library and enjoy the big screen! Children under the age of 12 must be accompanied by an adult. 125th Anniversary Events: Touch a Truck! Start your engines; the Essex Library’s popular Touch A Truck Event roars into town on Saturday, June 14th to kick-start your summer. From 10 AM to 3 PM, Essex Town Hall parking lot will host a whole convoy of trucks, earth moving equipment, a school bus, bucket trucks, fire trucks, police cars, an ambulance, and more, for your kids to explore and enjoy. There will be live music, face painting and pretend tattoos, a children’s book sale, even a miniature railroad to ride on. Tickets will be available at the Essex Library and at the event; the price is $4 per person, or you can save money with a family pass for $12. Proceeds from this “fun-raiser” will go to support Library programs and services. This event is part of the Essex Library’s ongoing 125th Anniversary celebrations. Posted in Children's, Events, For Children, Library News | Tagged Children's Event, Essex Library Association, Touch a Truck | Comments Off on 125th Anniversary Events: Touch a Truck! Join us for an introduction to the love of books and music. This group provides an opportunity for parents and babies to socialize and connect with each other. A parent or caregiver must accompany each child. No registration required. Current research on early literacy and brain development shows that it is never too early to prepare children for success as readers. Studies show that early language learning is the biggest predictor of school success. Learn the 6 key skills for literacy success by attending Library story times. The goal of these programs is to empower parents and caregivers to help the children in their lives develop strong early literacy skills, while also having fun with stories, rhymes and songs. Monday, March 10th 4:00 – 6 p.m. This new club for students aged 8 and up celebrates the best book to movie adaptations around…with pizza! Stop by the library any time in March to order a copy of book if you’d like to read the story before we show the film on the big screen. 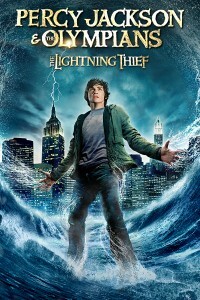 We also have the new graphic novel adaptation of Percy Jackson which you can check out here. We’ll make book to film comparisons and talk about our favorite characters, but reading the book is not a requirement! Please RSVP for this event by calling the Essex Library at 860-767-1560 to ensure that we have enough to eat. Please remember that children aged 12 and under must be accompanied by an adult while visiting the library. Monday, December 30th from 10 a.m. – 12 p.m.
Weave in the New Year with us on the second Monday of school vacation! Bring your looms and bands and we’ll a few extra supplies on hand. We plan to show tutorials up on the big screen and have asked older loomers to help teach new patterns. We would love it if you’d join us! We ask that all children under the age of twelve are accompanied by an adult while visiting the library. Please register for this event by calling 860-767-1560 or by emailing Jessica at jbranciforte@essexlib.org. Monday, December 30th at 2 p.m.
A holiday treat that makes an ideal introduction to opera for the whole family, the filmed version of the Metropolitan Opera’s performance of Mozart’s The Magic Flute will delight all ages. Julie Taymor’s visionary English-language production dazzles the eye; the music, directed by James Levine and sung by Nathan Gunn, Matthew Polenzani, Ying Huang, Erika Miklosa, René Pape, and Essex’s favorite bass-baritone, David Pittsinger, under the direction of James Levine, enchants the ear. Please call the Library (860 767-1560) to register as seating is limited. Preschool Story Hour Registration Is Now Open! This fall, we’re offering two registered story hours for children aged 3-5. This session will take us from the week of October 1 to December 12. We will have afternoon story hour from 4 – 5 p.m. on Tuesday afternoons and an early morning story hour on Thursdays from 10 – 11 a.m. During our story hours, we typically read two to three stories, have a short show and tell and work on a themed craft. We end our time together by spending time selecting and checking out books. Siblings are always welcome and are encouraged to spend time with us in the program room or in our children’s department while our preschooler crew works to read, socialize and play together. Registration is now open! Space is limited as we welcome up to twelve children for each group. Please call the library at 860-767-1560 for more information or to register. Posted in Children's, Library News, Reading Advocacy | Tagged Library Story Hours | Comments Off on Preschool Story Hour Registration Is Now Open! Wednesday, April 17 from 3:30 – 5: 00 p.m. Kids in grades 3 – 6 are welcome to join us in order to unearth a small fossil that they will get to take home. As presented by the Children’s Museum of West Hartford, they will learn how fossils form and will get to examine some of the bony specimens on leave from the museum. Kids will get to look closely for clues about where each fossil comes from and will try to guess at what type of animal it might be. Saturday, October 20th at 4 p.m.
What mysteries lurk in the old graveyard? What messages are hidden in its ancient tombstones? Join us for a walking tour of River View Cemetery with members of the Essex Historical Society . The walk will begin at the Essex Library, and families with children older than four are welcome to leave them for the duration of the walk at the Library, where we’ll show the holiday favorite It’s The Great Pumpkin, Charlie Brown! Spooky good fun for adults, and a not-so-spooky good time at the Library for the little ones. Registration is requested for this program, please.